One of the most popular tools for developers, engineer, and ops personnel is GitHub. 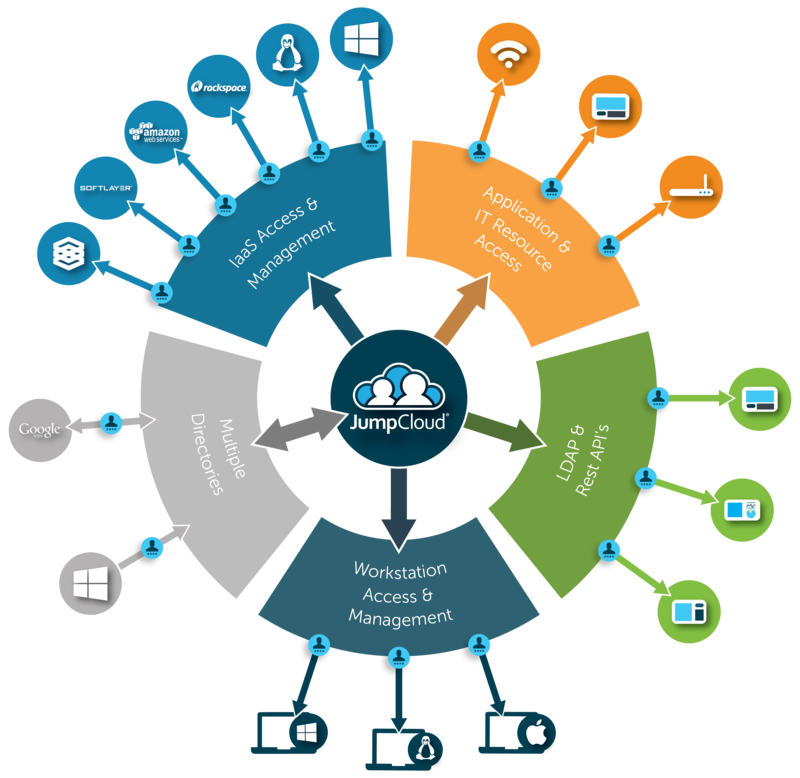 As a source code repository, the cloud-based solution has been extremely successful. It’s reportedly used by over 20mm people. Until recently, the online SaaS version of GitHub didn’t support single sign-on via SAML. Now though, GitHub single sign-on is being supported by the cloud identity management platform Directory-as-a-Service®. Today’s approach to development and operations – now called DevOps – is transforming the IT industry. The DevOps methodology is embracing fast cycle times, cloud infrastructure, web applications, and much more. To be fair, DevOps is far more than just products. DevOps is a methodology – much like Agile – that is transforming the way that organizations approach their online infrastructure and products. A true approach to DevOps integrates people, processes, and technology to create a new way for doing business for IT and development organizations. A key challenge for DevOps organizations has become identity management. Previously, developers and ops personnel would either piggyback off of the existing directory service Microsoft Active Directory®, create their own separate directory service solution (often OpenLDAP™), leverage config management solutions such as Chef, Puppet, Salt, Ansible, or others, or just manage user accounts manually. With the focus of DevOps being automation and resilience, most of these approaches fell far short of the mark. On-prem directory service solutions couldn’t easily connect and manage user accounts in the cloud or on the web. On-prem systems were often based on Linux making it more difficult to connect to the Windows focused directory solution Active Directory. Many more technically oriented solutions were based on non-Windows infrastructure and components. In addition, a number of new authentication protocols emerged creating a more difficult environment for DevOps engineers and IT admins to build a cohesive identity and access management approach. In the new generation of cloud IAM solutions, Directory-as-a-Service is integrating all of these disparate IT components together. This is especially effective for DevOps organizations where they are trying to connect a variety of different IT solutions together including systems, applications, storage, and network infrastructure. Today’s modern virtual identity provider is securely managing and connecting user identities to these IT resources regardless of platform, protocol, provider, or location. This is an important and critical differentiator in the IAM market and why DevOps organizations are replacing Active Directory with a cloud directory service. Specifically, DevOps organizations are looking to create one identity across everything a technical person needs. This includes their source code repository, GitHub, as well as other IT infrastructure such as AWS, Docker, Jenkins, monitoring solutions, and much more. The idea is that with one login, developers and ops personnel can login to all of their DevOps infrastructure and potentially even use their G Suite or Office 365 credentials as their core credentials. GitHub SSO is a critical piece of this problem set. 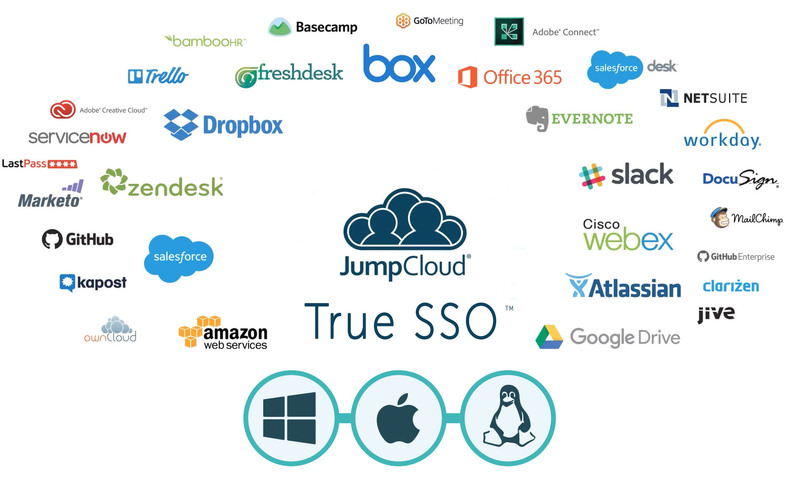 Now with a cloud directory, IT organizations can federate the same identities from G Suite or Office 365 to AWS, GitHub, Atlassian, Jenkins, Docker, NewRelic, and many other solutions. 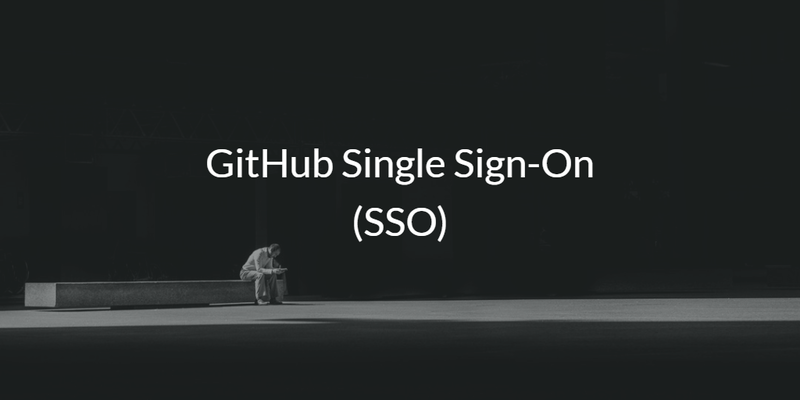 If you would like to learn more about GitHub single sign-on (SSO), drop us a note. We can show you how DevOps organizations are completely integrating their identity management approach to be from the cloud and for the cloud. Alternatively, give Directory-as-a-Service a try for yourself by signing up for a free account. Your first 10 users are free forever.